Craig has spent more than 30 years building a successful practice in the construction and public law areas. He brings a wealth of experience to the counsel he provides his clients. 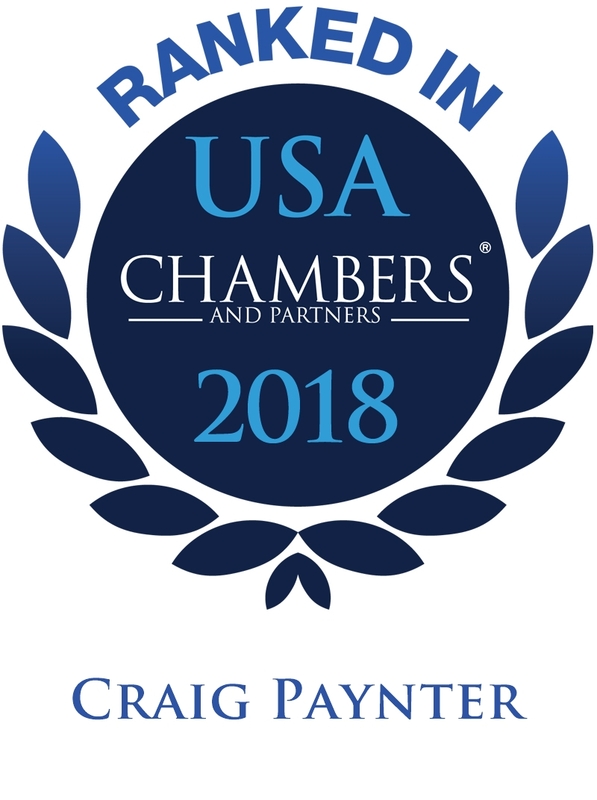 Chambers USA says Craig is "known for his impressive knowledge, experience and good judgment" and is praised for his focus on both public and private development. He represents clients in all aspects of construction, with a particular emphasis on public sector litigation and contracting. Craig is a leading authority on eminent domain issues. 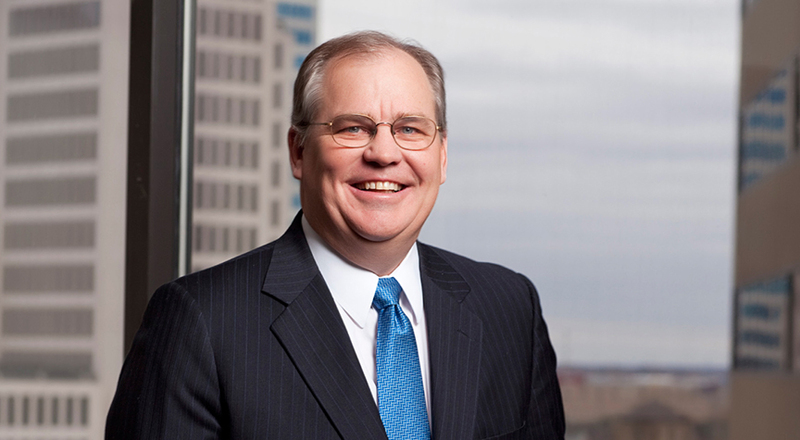 He has previously served as a Federal Civil Rule 71.1 Commissioner for eminent domain acquisitions related to the Rockies Express interstate natural gas pipeline project, and is once again serving as a Federal Civil Rule 71.1 Commissioner related to the Rover pipeline project. Craig has been recognized by Best Lawyers in America since 2006 for Eminent Domain and Condemnation Law, and Litigation-Construction. 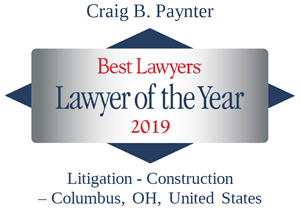 Best Lawyers in America 2019 named Craig "Lawyer of the Year" for Columbus Litigation-Construction. Successfully represented landowners in defense of separate eminent domain actions initiated by the Ohio Department of Transportation leading to successful resolutions. Successfully represented an international construction management firm in multimillion dollar litigation arising out of K-12 school building projects. Participates on the attorney team representing American Municipal Power and its constituent municipalities in planning, contracting and construction (including claims issues) of four hydroelectric power plants on the Ohio River at a cost of over $1B at: the Cannelton Locks and Dam near Hawesville, KY (83 megawatts); the Smithland Locks and Dam near Smithland, KY (72 megawatts); the Captain Anthony Meldahl Locks and Dam near Foster, KY (35 megawatts); and the Willow Island Locks and Dam near New Martinsville, WV (35 megawatts). Member of the Taft team that has been named as Special Counsel to the Metropolitan Sewer District of Greater Cincinnati in connection with the multi-billion dollar project to upgrade and improve the Metropolitan Sewer District infrastructure. Taft's duties to be performed at the request of, and in coordination with the City Solicitor's Office include: the review and modification of bid, contract and procurement documents and practices; assisting in the development of training programs in District personnel; and providing advice and representation to the District on claims issues which may arise. Assisted Union County, Ohio in eminent domain litigation to acquire roadway right of way. Assisted City of Lebanon, Ohio in eminent domain litigation to acquire roadway right of way. Assisted City of Gahanna in eminent domain litigation to acquire right of way for roadway improvements. Served as Special Counsel to the Ohio Attorney General representing The Ohio State University as Construction Counsel on contractor claims, surety takeovers; worked on the replacement of defective work emanating from the construction of complex project known as Phase I and Phase II of the $150 million Larkins Hall Recreation Facility. Served as Federal Civil Rule 71.1 Commissioner for eminent domain acquisitions related to interstate natural gas pipeline constructed by Rockies Express Pipeline, LLC. Served as Special Counsel for Miami University in litigation arising out of the construction at the Psychology Building. Successfully represented a drywall subcontractor in claims against owner and general contractor arising out of the construction of a $40 million corporate headquarters building in the central Ohio area. Liberty Township, Delaware County. Drafted contracts for first-known collaborative effort between Township and YMCA for construction of a community recreation center. The contracts included a lease of the premises constructed to the YMCA, as well as the contracts for traditional design, bid, build project delivery. After substantial completion, represented Liberty Township in claims against a contractor and its bonding company for defectively installed work, achieving correction of the defect for the Township. Also represented Liberty Township in construction of township firehouses, community building and active park facilities. Assisted Northern Area Water Authority municipal joint venture and its participant municipalities in site acquisition and construction of a $20 million water treatment and distribution network. Lead Counsel as Special Counsel for City of Columbus in eminent domain proceedings by which properties were acquired on which to construct the Ohio State University Gateway project, contributing significantly to the timely acquisition of properties. Represented Ashland County in a lawsuit alleging unworkmanlike work performed on standing seam metal roof on County jail facility. Successfully represented a municipal joint venture and its participant municipalities in claims arising out of the design and construction of a sanitary sewer wet-well and lift station. Successfully represented Lake Erie area Water District in claims against design professional where allegations centered on the negligent design of intake facility.